How do you connect your Macbook to a TV? Apple itself isn't really giving much support when it comes to answering this question. 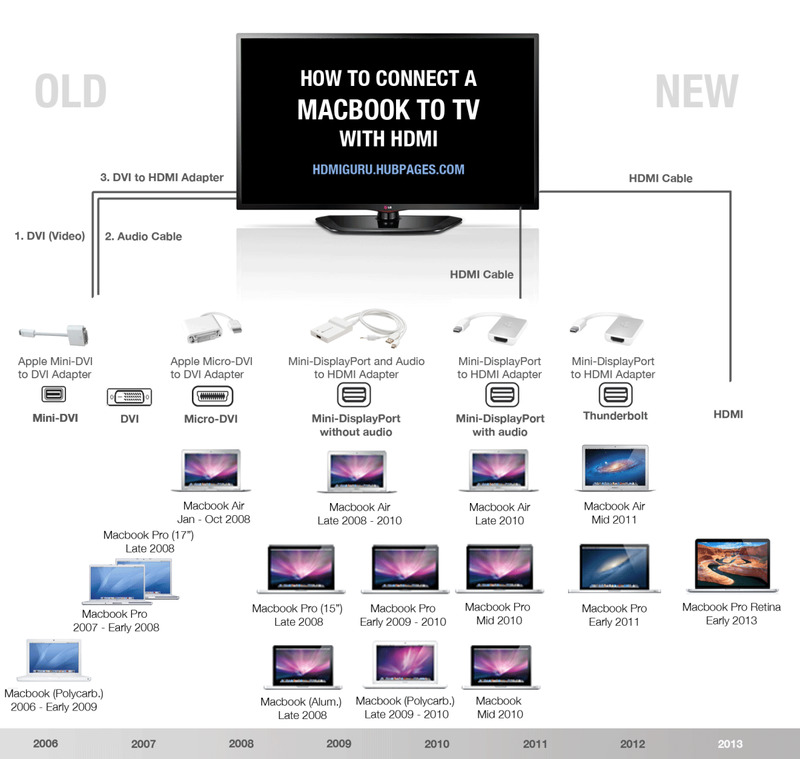 This guide will help you with that -- whether you own a Macbook, a Macbook Pro, or a Macbook Air, learn how to connect it to an HD TV for your viewing pleasure. Want to connect your Macbook laptop to an HD TV? Apple doesn't have any quick solution for this with their own products. Instead, they've recommended third-party Mini DisplayPort to HDMI adapters. With the help of these adapters, you can easily send audio and video signals in best HDMI quality to external devices, e.g. 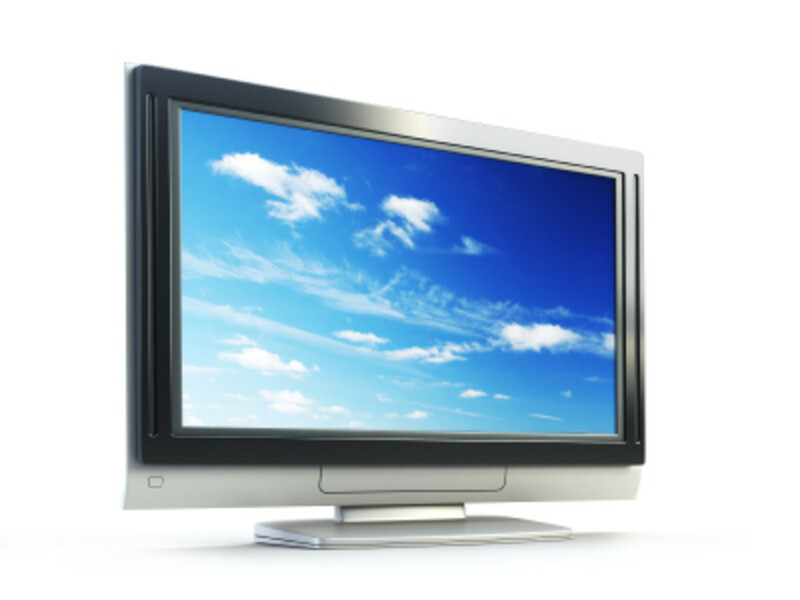 TVs, video projectors, screens, without practically any quality loss. 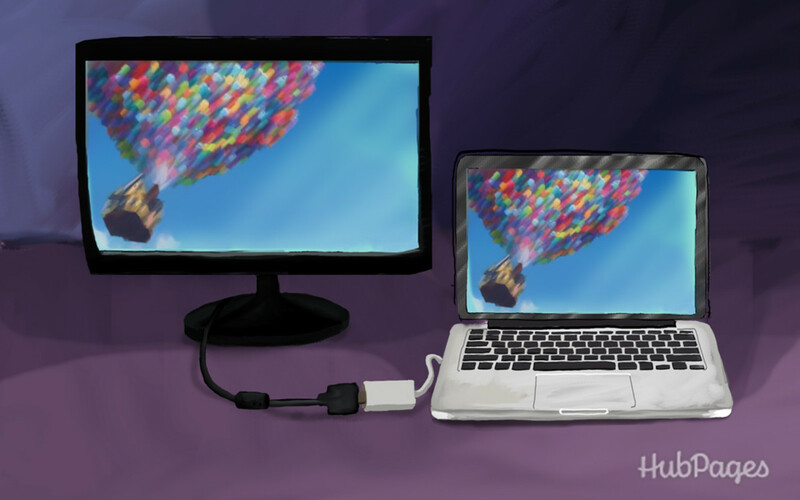 Take the following steps to connect your Macbook with a HDMI TV using the right DisplayPort HDMI Adapter. Note: If you'd rather like to connect your Macbook to TV wirelessly, read this Macbook Airplay guide. Unfortunately, any older models can send video data only over the DisplayPort connection. 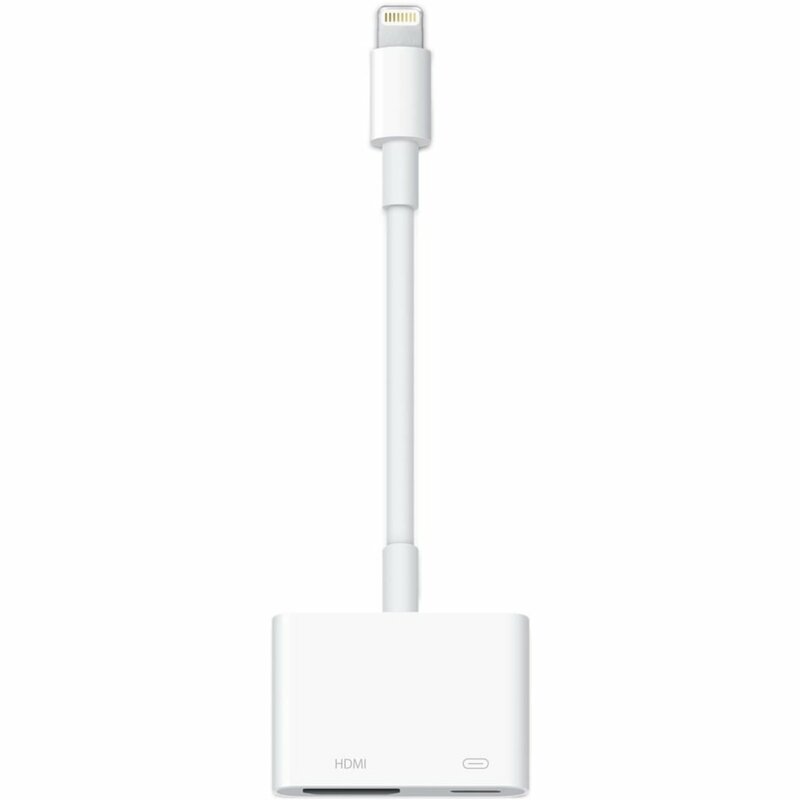 (Note: Do you have a Macbook with Thunderbolt instead of a Mini DisplayPort? Don't worry, it makes no difference for this tutorial. Both interfaces are 100% compatible and you can use the same Mini DisplayPort adapter for a Thunderbolt connection as well). 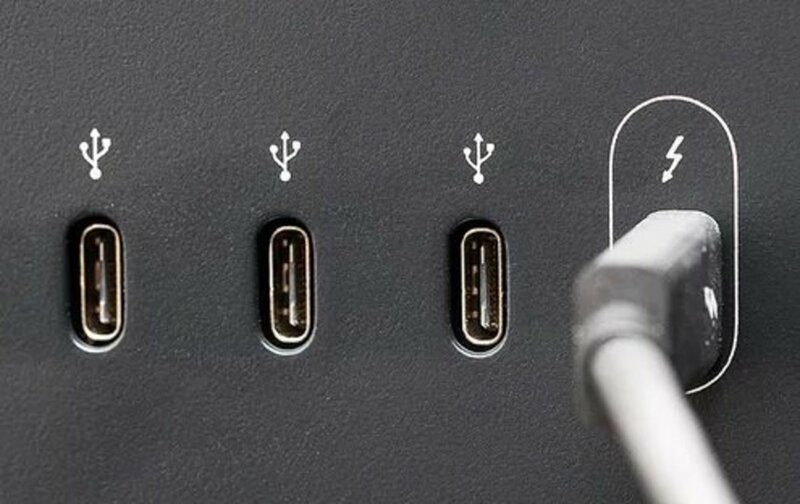 No additional adapter is necessary if you are connecting directly to the HDMI port on these specific models. These Macbook models released in 2012 and later already have a built in HDMI port. Just connect your Macbook and your HDMI cable with a TV. Skip step 2, in other words, and continue with step 3. Our Choice: As a fourth option, check out this Mini DisplayPort to HDMI Adapter with Audio support. While not explicitly recommended by Apple, it works similarly to the others and costs only half the price (at $10 on Amazon currently). 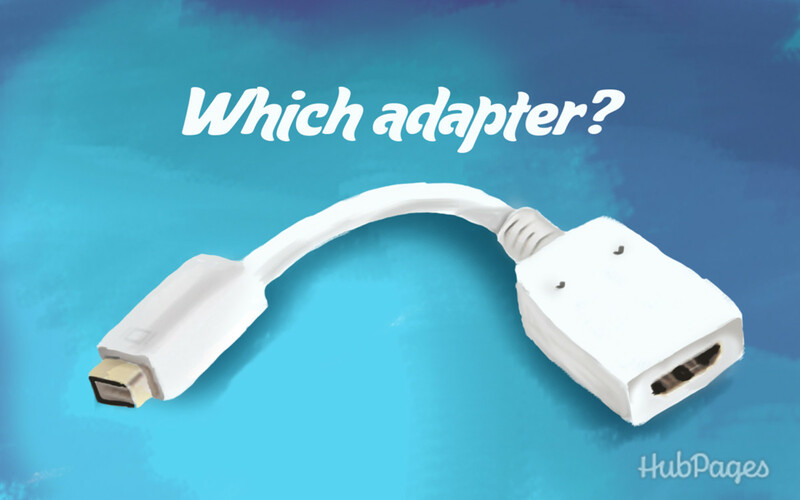 Macbook to TV Infographic: Which Adapter For Which Model? How do you connect your Macbook to TV? I have connected my MacBook to my Samsung, and it shows my screensaver but will not play the slideshow. What do I do? 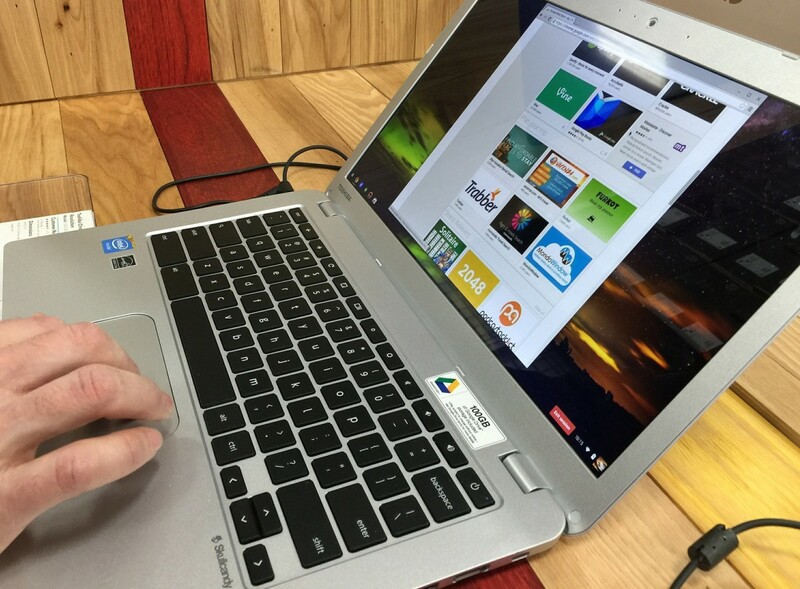 Try pulling the windows with the slideshow over to the external monitor. Or: Go to Settings -> Displays and choose to mirror your MacBook screen. I'd recommend using media server apps, personally, I downloaded ArkMC for Mac. It streams my media to different devices without any other devices, cabels etc. well, I connect my mac to smart tv with ArkMC app, it doesn't require cables or adapters and helps me to stream my media from mac wirelessly. I have to manually switch the sound over when I plug in the HDMI. A bit annoying! Hello, I have a MacBook Pro (Retina, 13-inch, Late 2013) I tried connecting HDMI to HDMI and nothing happens, same on BenQ projector. My computer doesn't seem to recognize the devices. Any Advices? Thanks in Advance. I connect my macbook pro to a hdtv using the HDMI adapter and I get a connection but "desktop 2" shows up on my tv and there is no "desktop 2" in Mission Control - just the default "desktop". Where is this "desktop 2" and how can I delete it? Guys - love the article except you say "Our Choice: As a fourth option, check out this Mini DisplayPort to HDMI Adapter with Audio support. While not explicitly recommended by Apple, it works similarly to the others and costs only half the price (at $10 on Amazon currently)." appreciate to write the article on this. after take a help from you tips, for me it's working.. Thanks Linda for your comment, much appreciated!! My MacBook Air used to mirror to any tv just fine - using the HDMI cable. Then all of a sudden it just stopped working - and i have no idea why. I have even followed all the steps by going to system preference and clicking on display - but the tab arrangements does not show up. I have no idea what happened - please advice. My laptop use to connect to my T.V. fine, but now when I plug the HDMI cable in my laptop my laptop goes blank for a second like its connecting, then it doesn't connect, I thought it could be my HDMI cable or the mini display port, but its not because it seems to connect to my friends laptops fine, please help thanks. @hdmiguru Many thanks for that. I'll get an adaptor and give it a try. 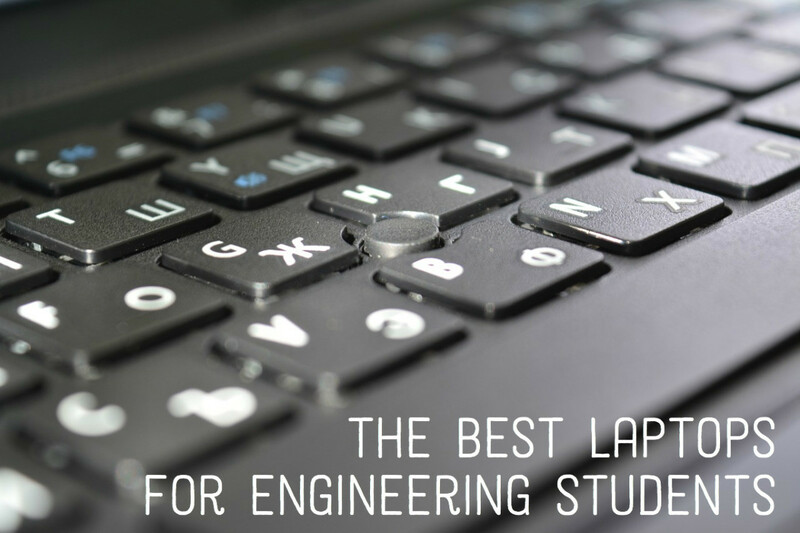 @JospehBloggs Try the following: Connect your Macbook with an external keyboard /mouse. Connect the Macbook to TV as described above, close it and wake it up by pressing any key on the keyboard. Your Macbook will run in Clamshell Mode and the HDMI output will be used as as the primary display source. I'd like to use it with an external HDMI display, but of course I can't see anything on the screen to get to the display preferences and set up mirroring. Is there any other way to force the display onto the HDMI, e.g. a key sequence? Jen, try using one of those adapters mentioned in the article. 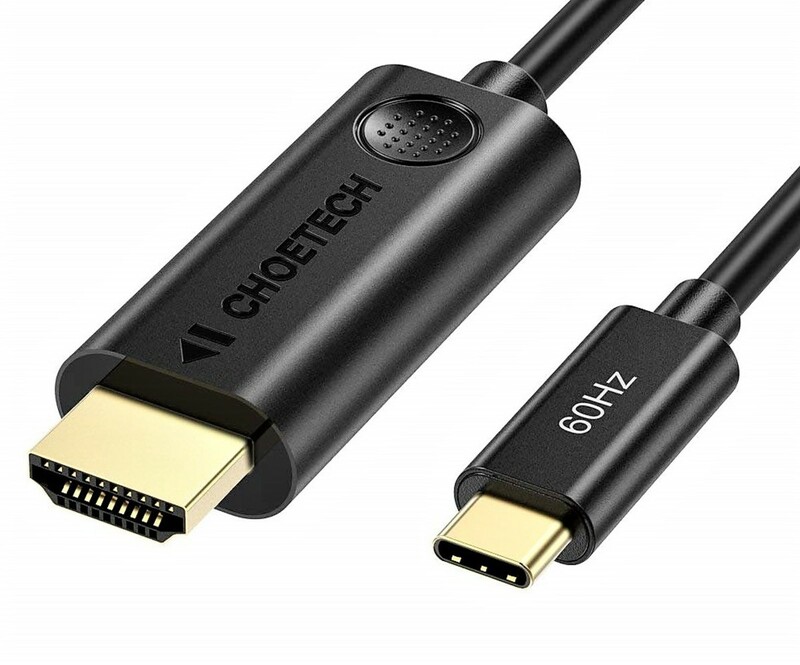 I used a new Thunderbolt (male) to HDMI cable (male) to connect my 2013 MBA to a 2013/14 Samsung smart TV. 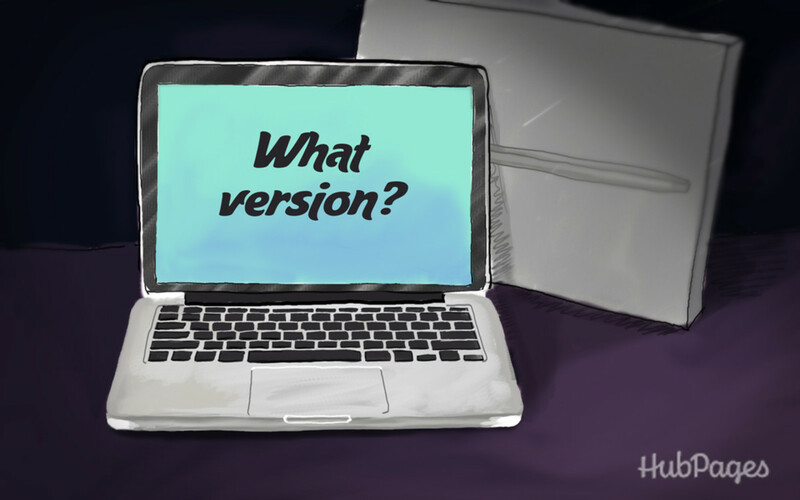 I have not updated my OS to Yosemite. The TV recognizes that the HDMI input is active but the MBA behaves as if there is no new connection. Tim, a lot of people are experiencing this with their Macbook Air. Whether it's done intentionally or not: it does leave behind a bad taste... Let's hope they provide a fix for Mac OS soon enough. Is it possible to show the video just on the TV screen and not on the MacBook Air? Thanks! It should work! Can you describe your problem a little more in detail? I am a little perplexed as to why I can't just connect to a TV screen using the HDMI output on my Macbook pro. I'm so confused right now. I just bought a hdmi to dvi cable and connected my macbook to the montor but nothing is working, as if they weren't connected. then I read that I should buy a thuderbolt to hdmi cable. BUT WHY?! why, when there is a direct hdmi output from the macbook. I don't understand! I have recently bought a mini display port to HDMI adapter and when I plug it in it doesn't work, I've tried what was suggested above, I have a Samsung TV and all that comes on to the TV is "No signal"
Can someone tell me what I'm doing wrong and how to fix this please. I'm using a mono price thunderbolt to hdmi adaptor and it's not working. The screen flashed when I plug it in, so I assume it's been detected, but the TV isn't showing up in any of my system preferences and my TV isn't picking up the Mac. I have a Macbook Air and am using the Kanex adapter. When I plug the cable into the TV (HDMI port) and my Macbook, the Macbook does not detect the TV. Any ideas? I have been looking all over for something like this. I thought about just buying the apple tv for 100 since you move it around your house but this is a lot easier just never knew what cable to buy! thanks! As I am trying to play a slideshow during a tradeshow and use my 2010 Macbook Air with HDMI TV and the connector from Mini Display to HDMI, will I be able to start the slideshow and close the Mac Air lid, so that it continues to play the slideshow without it being turned off? Hi Lybrah, which video input connections does your old TV have? You will need a corresponding adapter. I have an older tv--would it still work? It is not an HD tv, it is about 10-15 years old. Very informative and thorough, thank you! I just wish the cables were not so expensive. Voted up! I used to be able to connect my MacBook Pro to my TV just fine (without sound because its an early 2010 model) but now it will not work. It's up to date, any suggestions? Hi Sarah, we can recommend the Amazon Basics High Speed HDMI cables. They deliver good quality at a fair price! But your connectionlab cable should also be fine as long as it has the High Speed standard. Check our Article on HDMI cable differences for more info. I was thinking about buying myself a new hdmi cable because my old one is barely working. Gwen, can you recommend my connectionlab. Is it as good as you are saying? Actually, I was looking through online reviews and many people are happy with connectionlab, so maybe I should go for it? What do you reckon?